VIETNAM: Manufacturer MHI Vestas and certification body DNV GL have formed an alliance with a local state oil and gas group and Singapore-based offshore renewable companies to develop wind projects off the country's southern coast. The agreements with PetroVietnam and its subsidiaries, Enterprize Energy and Renewable Energy Global Solutions cover feasibility and environmental planning, development and financing of offshore wind, the group said. It is unclear how many projects are planned, how large they would be, or when they might be built. The group is targeting an area referred to as the Ke Wa Offshore Wind Development Zone "outside of the current oil and gas production areas of the Cuulong Basin between 20km and 70km offshore southern Vietnam’s Binh Thuan and Ba Ria-Vung Tau provinces". The group believes it can deliver "utility-scale" offshore wind there. 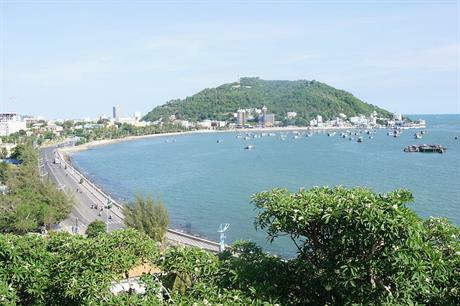 Turbine foundations and offshore electrical substation platforms would be constructed in Ba Ria-Vung Tau province, which is where PetroVietnam has "offshore yards", the group stated. The consortium consists of MHI Vestas, DNV GL, state-owned oil and gas group PetroVietnam, its JV with Russian state oil company Zarubezhneft and its subsidiary Petroleum Equipment Assembly and Metal Structure. It also includes Singapore-based offshore renewable company Enterprize Energy, which is also part of a joint venture with Canada’s Northland Power to develop the 1.1GW Hai Long project off the coast of Taiwan, and Singaporean oil and gas producers Renewable Energy Global Solutions. Ian Hatton, Enterprize Energy’s chairman and founder director said that the project would have "the highest local content levels of any offshore wind farm anywhere" and that the group intended "to bring forward additional concepts for energy storage to provide improved grid stability". Hatton added: "Vietnam’s impressive economic growth is driving a need for new energy resources. "Government has a very clear determination to meet rising energy demand with substantive growth in the supply of low-carbon, renewable energy." In June 2011, the Vietnamese government set targets of 1GW installed capacity by 2020 and "about 6.2GW" by 2030, and "increasing the proportion of electricity production from wind power from 0.7% in 2020 to 2.4% in 2030". According to Windpower Intelligence, the research and data division of Windpower Monthly, Vietnam had 231MW installed as of 1 January 2018, 99MW of which was offshore. Vietnamese law firm Lexcomm Solicitors and Barriers published an Outlook for Vietnam Renewable Energy last June. In the report, Lexcomm stated that the country was unlikely to reach 800MW of installed wind power capacity by 2020, but 2GW by 2025 and 6GW by 2030 were more realistic targets.